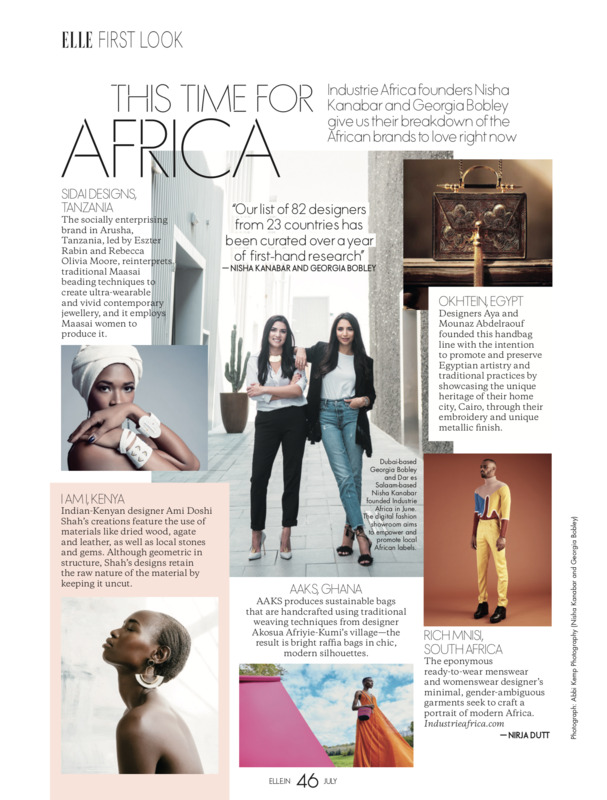 After interning and working with fashion designers such as Peter Pilotto, Matthew Williamson and William Tempest in London, Akosua Afriyie-Kumi embarked on her own path in 2014 to launch AAKS in her home country, Ghana. Founded with the goal of introducing the world to her favourite weaving techniques while also creating and igniting sustainable jobs, each bag is handcrafted in Ghana, and maintains the spirit and durability of their ancestral counterparts characterised by bright, exuberant colours. The essence of AAKS' philosophy is a combination of design elements which come from a critical attention to craftsmanship, authenticity and ethical values in their production. Each collection silhouette is unique and tells a different story through detail, colour and shape. Afriyie-Kumi is connected to every stage of the design and production process to oversee and ensure that the end result is imbued with the spirit and soul worthy of the AAKS stamp. Since launching the brand, Afriyie-Kumi has showcased her work internationally, including in Milan, London, Cape Town and Paris. She has been shortlisted as an emerging designer from Africa by Vogue Italia and has been featured by publications such as CNN, Vogue, Refinery29, Harpers Bazaar. With her line, Afriyie-Kumi aims to build an African brand ethically and conscientiously— one handbag at a time.